Laid down, 20 February 1944 at Dravo Corp., Neville Island, Pittsburgh, PA.
97 USS LST-738 burning after she was hit by a Kamikaze off the Mindoro landing beaches, 15 December 1944. USS Moale (DD-693) is nearby. Note the hole in LST-738's starboard side, just forward of the large "738" painted there. 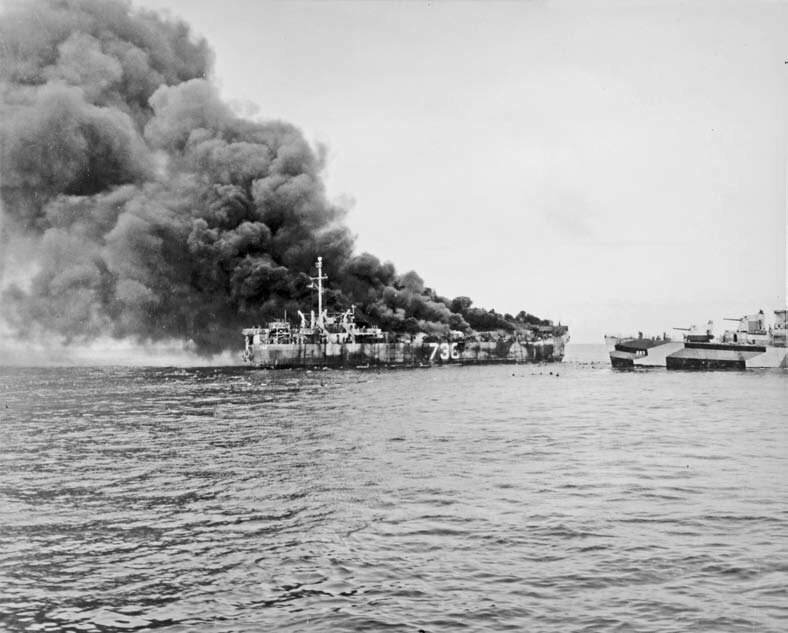 Smoke in the left distance may be from USS LST-472, which was also hit by the Kamikaze attack. 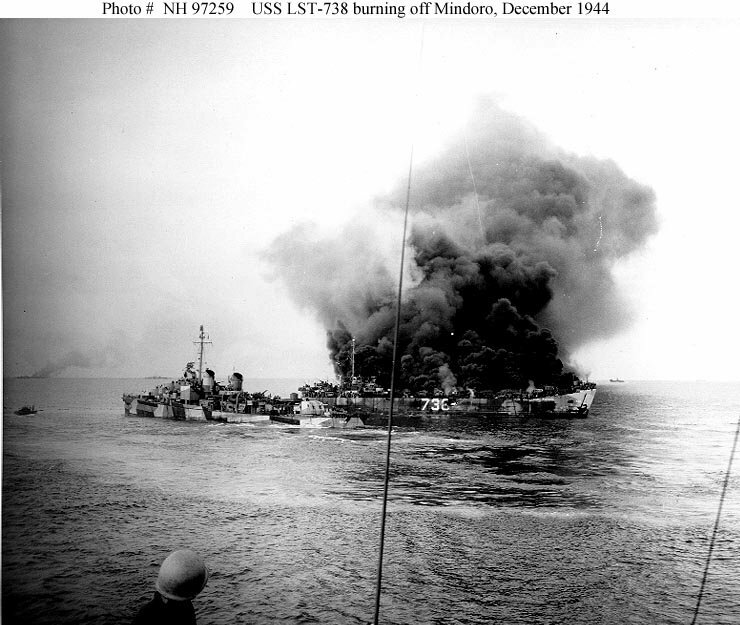 82 USS LST-738 burning after she was hit by a Kamikaze off the Mindoro landing beaches, 15 December 1944. USS Moale (DD-693) is nearby.